Nancy Dube is a dedicated Human Resource Consultant. She has over 30 years’ of experience. Nancy Dube offers a full spectrum of human resource consulting, outsourcing, programs, and services. 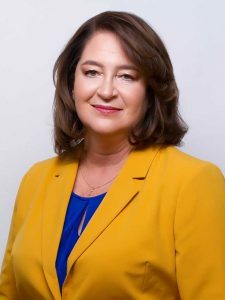 Her background includes work in retail management, direct sales, manufacturing, government, medical, high-tech, aerospace, non-profit and family business. Nancy Dube has a wide array of hands-on business acumen that she will bring to your organization. As a business owner, Nancy can relate well to the small-to-mid-size business. Nancy’s involvement spans labor law and compliance, policies, procedures, employee handbooks, recruitment, retention, training, unemployment compensation and employee relations. Nancy has also worked with municipalities, local and federal government and different labor unions as a business partner. Nancy brings the first-hand experience to support the small-to-mid-size businesses in Massachusetts. She is also a known LinkedIn expert and avid Networker. Nancy Dube is a graduate of Becker College and attended Assumption College for her human resource certification (SPHR). Nancy also holds a certification from the HR Council in safety. She is SAM certified by the SBA as a women-owned, small business, to obtain government bids. Nancy is a member of the Society of Human Resource Management (SHRM), Worcester Regional Chamber of Commerce, Wachusett Area Chamber of Commerce, The International Women's Leadership Association, Better Business Bureau, Polka Dot Powerhouse. Nancy is a member of the Board of Directors for the Leominster Credit Union. Nancy is a past Director from BNI, and past Chair, Center for Women & Enterprise, Central MA. In her spare time, Nancy runs the "Worcester Job Seekers Networking Group" which she has led for over three years. A "free service" for anyone looking for a job, support, or skills enhancement. This group meets twice a month at the Jewish Community Center in Worcester. Nancy loves to cook, enjoys boating, and to spend time with her grown children. Nancy lives in Worcester with her husband, William. Kristin Donahoo is an accomplished Administrative Support Professional with over 20 years’ experience supporting mid to C-level management. Her career started in Human Resources (6 years) and she has spent the past 16 in Research Quality Assurance. 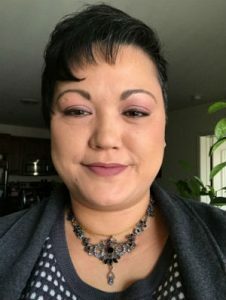 She has experience with FDA inspections; document audits; finance and accounting; records management; report preparation, proofreading, editing and formatting. Kristin attended St. Phillip's College in San Antonio, TX with a focus on General Education. She resides in Lunenburg with her two young boys.